Today we have had it all. Grey skies, wind, sun and torrential rain. So does the weather effect your dog’s behaviour? Certainly thunder effects my dog Phoebe. She does get restless before a thunder storm and lies in her safe place long before we hear the thunder. Some dogs hate the rain. Dogs often hesitate before going out in the rain. It’s not because they’re afraid of getting wet, but because the rain amplifies sound and hurts their sensitive ears. On a windy day my dogs are crazy in the woods. As their noses are so sensitive to scents being blown around they become overexcited following their noses. This works fine for me as it really tires them out! The heat really effects some dogs, especially the pups, oldies, fatties or the poorly ones! So during the heat of summer be cautious exercising your dog. Early morning walks in shaded areas are best and don’t forget that pavements really heat up too. Summer is very hard for our dogs in kennels. The concrete really heats up and all we can do is keep them cool by hosing it down as often as possible. 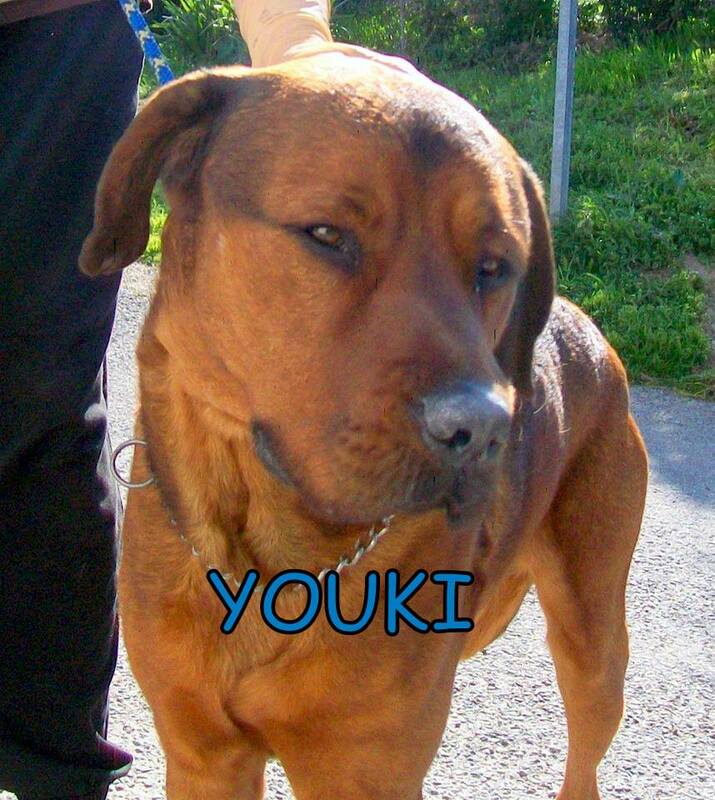 One dog who wont have to worry about the heat in the kennels is Youkie. This two year old arrived at the SPA in March and for a young male he didnt have too long to wait! Today he left with his new family ..be happy Youkie! We also had 4 arrivals, 2 of whom were reclaimed, so all in all,numbers are up by one tonight! Next: A date for your diary, DNA test results and an adoption..